Leo Hostel v Beijing, Čína: Zarezervujte nyní! The Leo Hostel is rated one of the best hostels in Beijing for a reason. From the clean linens every day to the clean rooms to the soft cozy mattress to the great bar and restaurant to the helpful english speaking staff, We will be your best choice of hostel in Beijing. Whether you stay for one night or ten nights, you will never be dissatisfied during your stay. 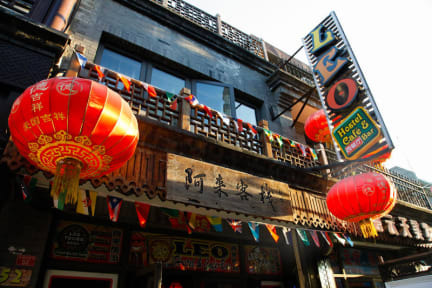 The Leo Hostel is ideally located in the most central and historical area of Beijing,around Tian'anmen Square. All major attractions are within short walking distance from our doorstep. Here you will find famous shops, supermarkets,night food market and so much more...And feel the Hutong culture in Beijing. If you are from the Chinese mainland and want to stay in the mixed dorm, please pay for all extra beds in the mixed dorm. We will never put anyone else in your dorm. This is Beijing local policy, thank you for understanding.